SLIIT, the nation’s largest degree awarding institute celebrated and recognised student athletes for their impressive achievements at the annual Colours Awards ceremony 2017/2018 held recently. The gala event, organised with great pageantry took place at the SLIIT Main Auditorium in Malabe. The ceremony was held under the auspices of Chief Guest Kishu Gomes – award winning celebrity/CEO; Guest of Honour, Dilantha Malagamuwa – First non-Japanese Asian to compete in the Japan Top Level Super Formula; Dr. Lalith Liyanage – Chief Executive officer of Lanka Logistics & Technologies, together with Prof. Lalith Gamage – Vice Chancellor/President and CEO of SLIIT; Prof. Lakshman Rathnayake – Chancellor/Chairman of SLIIT, SLIIT Board members, senior management, staff, students, parents and well-wishers. Providing to be an extremely successful year in the sporting arena for SLIIT, 311 Colours men and women representing 14 sports received awards. For 2017, SLIIT produced 155 Colour Winners, representing 11 sports. 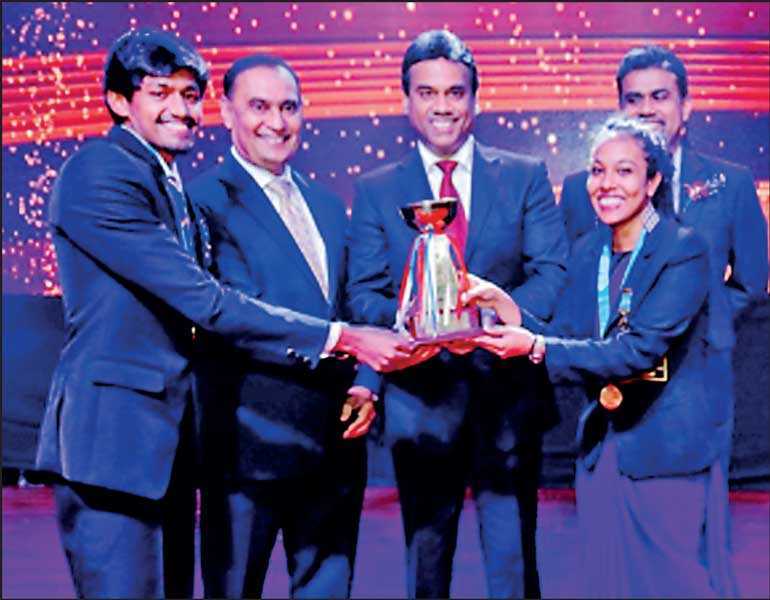 Ruvini Kannangara, member of the Sri Lanka National Table Tennis Team was awarded Most Outstanding Sportswoman for the third consecutive year. Pawan Gamage, a member of the Sri Lanka National Basketball Team received the Most Outstanding Sportsman and Best All-Round student for Sports. SLIIT awarded 156 Colour Winners representing 13 sports for 2018. Once again, Pawan Gamage received the Most Outstanding Sportsman title, for the second consecutive year. 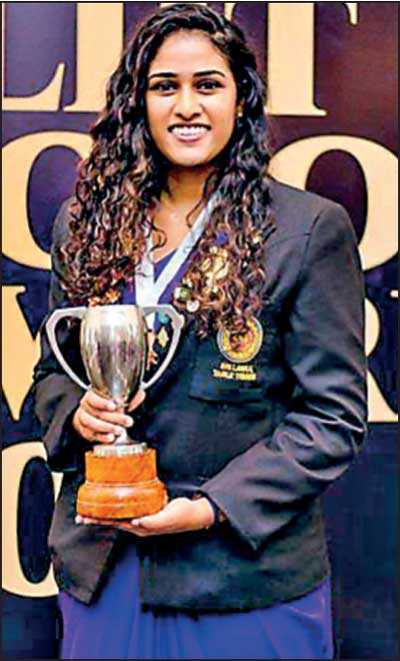 Tharindhie Alles, Captain of the Basketball team and Vice-Captain of the Netball team, received Colours for excelling at basketball, netball and track and field. Tharindhie was adjudged as the Best All-Round Student for Sports 2018.